Tag Archives for " Maria Castle "
0	A Guide to Facebook Video Ads: Can a Small Business Benefit from Them? 1. The first few seconds are crucial! 3. Make the sound perfect! You can easily check if the ad is as long as it should be: ask few of your friends to take a look at the video before you publish it. Consider their feedback and make adjustments if necessary. Online marketers are aware of the fact that they need to present unique value to the users, but they often forget about this element when creating Facebook Video Ads. Why should your target consumer watch your video? Will they learn something new? Will you help them solve a problem? These ads are not meant to be just fun; they need to show how your company is better than the competitive brands. You Must Be Wondering: How Much Will the Video Ads Cost? Don’t worry; you won’t pay more than you’re ready to spend. Facebook lets you control your budget – you set your limit and the ad will be promoted to your target audience until that limit is reached. If you don’t think this campaign is producing the expected results, you can put it on pause and change something to make the video more captivating. If you notice it’s extremely successful, you can update your budget once it’s spent. As far as the video filming is concerned, you don’t have to spend a lot of money on it. There is no need to hire prestigious actors or rent a fancy studio. A small business can achieve great effects with cool graphic content, which costs much less. 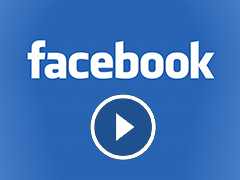 Are you ready to create your brief and attention-grabbing Facebook Video Ad? If you make this campaign really effective, it will help you build brand awareness and boost the popularity of your business. Maria Castle is a freelance writer and social media expert. She writes articles and creative essay samples for Essays Scholar Advisor, education portal for students. Maria is passionate about writing, travelling and tech.